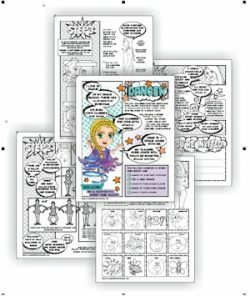 This is the first in our series of superhero downloads! Meet Willow. She has the superpower of inclusion. No one feels left out when Willow is around! 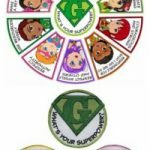 3 reviews for "Superhero Dance Badge Download"
Our girls had so much fun, the steps were easy to follow! We have a few dancers in our troop and we had them demonstrate the dance moves (1st position, etc) before the rest of us tried them and they loved being able to help their sisters! Our Brownies had so oooo much fun with this badge! The steps were easy to follow and they loved playing with the dance wands! We brought in a cheer/dance coach to show us some more moves for the girls to use at the home dance parties. Definitely recommend as it is a great value! The packet made it easy to earn the badge (maybe too easy). There is room for improvement. For the warmup, it would be better if the game had a way for all the girls to do a series of moves (instead of just one), so it would really get their bodies warmed up. For taking to the dance floor, it would be nice if it directed you on ways to put the single ballet moves together that were just learned to makeup a dance. For step 4 it mentions that you can make a dance wand, but it doesn’t provide the steps to actually do it. 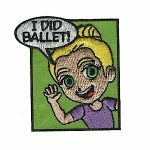 To make earning this badge more fun and properly learn a skill, I had a dance teacher come to our meeting to teach us the ballet moves and lead us in creating a dance. At the end of the meeting, for step 5, we waited for all the parents to get there, then as a group the girls showed the parents the dance they learned. The girls really enjoyed it and realized that proper dance is not as easy as they originally thought. Thanks for your input. Our downloads are meant for all troops to complete. Bringing in a dance teacher or going to a dance studio is always a welcomed addition for troops who have access to it.